Long gone are the days when a festival in a single field with one stage would cut the mustard. Now, it’s all about total immersion – all about the fantasy, all about getting lost. A place we can go to forget the real world woes. 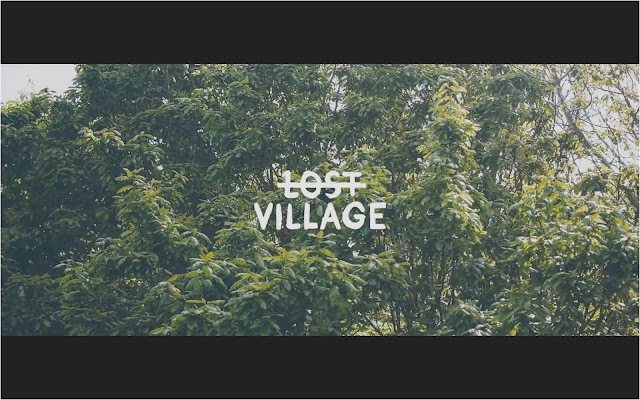 This Bank Holiday weekend the aptly titled Lost Village Festival returns for its second instalment in the Lincolnshire woods, and it’s sure to be a belter. The brainchild of DJs Jaymo and Andy George, 2015’s line-up saw the likes of Annie Mac, Four Tet, Tale of Us, and Erol Alkan. This year, with over 5,000 tickets sold, it’s even bigger and better. On Friday night we’ve got the likes of former Berghain resident Ben Klock, Brighton boy Fatboy Slim, Ben UFO, and Bicep. On Saturday night on the Burial Ground stage there'll be Heidi, Jackmaster, Hessle Audios’ Ben Pearce, Eats Everything, and then Floating Points and Mano Le Tough in the Forgotten Cabin (doubt you’ll forget those boys anytime soon hehe). On Sunday – a collective thank God for no work on Monday – we’ve got the soulful Seramic, who’s track ‘People Say’ has been one of my favourites of this year, BBC Introducing Artist of the Year Jack Garratt, Crazy P Soundsystem, Horse Meat Disco, along with my favourite leather jacket wearing soul spinning robot lover Craig Charles. In the Cabin we’ve got German electronic extraordinaire Roman Flugel and Young Turks’ John Talabot both who I caught at Beacons Festival a couple of years ago, topped off with DJ Koze. Sweet lord, it’s going to be GREAT. If you fancy a break from the bright lights, the Lake of Tranquility promises waterside wood-fired hot tubs, Swedish saunas, massage, yoga, reflexology and more. There’s also the Lost Theatre, where you can see comedy, and secret performances. And if you’re hungry after all of that why not indulge in a four course meal courtesy of The Man Behind the Curtain’s Michelin-starred chef Michael O’Hare, along with Lee Westcott of The Typing Room? Now those are some horderves I’m gagging to try. At only 40 minutes away from Leeds via train, for me Lost Village seems to have taken the mantle of Beacons Festival (RIP) as the local festi to attend this summer. Even from London, it’s only 1hr 20 mins. Also, the fact it’s held over the Bank Holiday weekend means they can pack in even more bloody great music. Clever! See you in the woods my friends.